The indicators in search box are "symbol" or "alias (newest symbol)". GEPIA allows users to apply custom statistical methods and thresholds on a given dataset to dynamically obtain differentially expressed genes and their chromosomal distribution. Given a cancer type, the genes most associated with patient survival can be searched. 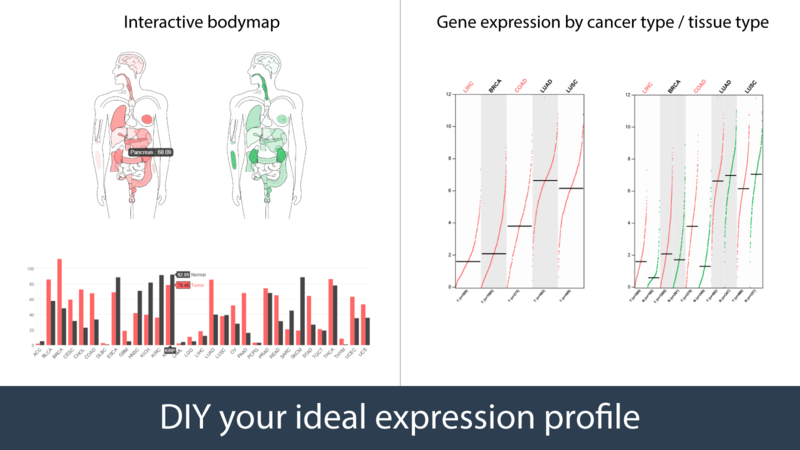 This feature provides expression matrix plots based on a given gene list. This function provides pair-wise gene expression correlation analysis for given sets of TCGA and/or GTEx expression data. 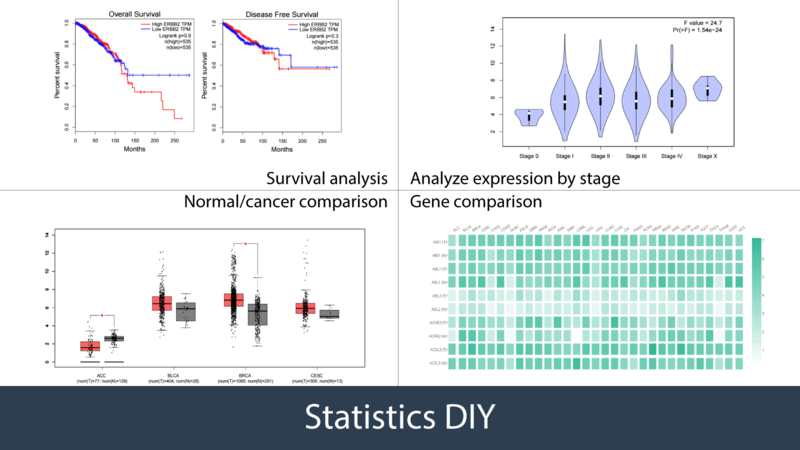 Given a gene list, GEPIA performs Principal Component Analysis (PCA) using custom TCGA and/or GTEx expression data.